ALBANY – Mary Catherine Mirabile, 92, passed away peacefully on Christmas Day. Mary was born in Albany on February 7, 1924. She attended Albany public schools and worked for several years at the NYS Department of Motor Vehicles. Faith, family and friends were the center of Mary’s life. Mary loved people and was always there to lend a hand and offer a special kindness. 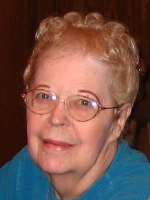 A Loudonville resident for nearly 50 years, she was the Twilight Terrace neighbor who was always there to help when someone needed assistance. She enjoyed arts and crafts and shared her talent with many over the years. Mary was most proud of her marriage to her loving husband Tony, who passed away in 2011, after their 68 years together. Mary is survived by her nephews Michael Hickey (Elaine Pers), Mark Hickey (Sandy), and her nieces Mary Pat Hickey and Maureen Bliven (Michael). She is also survived by her great nephews, Stephen and Christian Bliven and Brian and Greg Hickey, and her cousin Kathy Roose and her children. In addition to her husband Tony, Mary was predeceased by her brother-in-law Santo Mirabile, her sister-in-law and brother-in-law Carmela & Jack Hickey, and her cousin John W. Forbes and his wife Mim. A mass of Christian Burial will be celebrated at 9:00 am on Wednesday, December 28, at Blessed Sacrament Church at 607 Central Ave. in Albany. There are no calling hours. Interment will be in Our Lady of Angels Cemetery, Colonie. Mary’s family would like to thank the staff of Our Lady of Mercy Life Center for the compassionate care they provided their aunt over the last few years. To honor Mary during this Christmas Season and the gift she was to us, we simply ask you to exercise gentleness, kindness and humor as a tribute to a life well lived. To leave a message of condolence for the family, please visit www.HansFuneralHome.com. Click here to view Mary’s resting place in Our Lady of Angels Cemetery, Colonie, NY (zip code Albany, NY 12205). My condolences on your family’s loss. I grew up on the corner of Red La (Mile La) and Twilight Ter. Mrs. Mirabile was across the street from my yard. She and Mr. Mirabile were always very nice, quiet people. May she rest in peace now that she is reunited with her beloved husband. Our condolences to the family for your loss. My Mom Catherine Loucks worked with Mary at the Dept. of Motor Vehicles. They were friends for a long time. We always enjoyed seeing Mary.